Book Challenge Day 4- A Book That Made You Cry | What are we...the Whos? This book was written by a sixteen-year-old girl. Sixteen! Girl! And i only say girl like it’s impressive because the story is about a gang of boys and she was able to write their characters beautifully. If you’re not familiar with it, shame on you- go buy it instantly. You can get in on amazon for a penny and have it read within the day. Now, just because it’s a short read written by a child does not mean it isn’t remarkable. S.E. Hinton manages to create such real, deep characters and conflict that a long-time author would be proud of them. You feel so intensely for the boys from the beginning of the book all the way to the last page. Posted in Authors, books, Reading, Writing and tagged 30-Day Book Challenge, S.E. 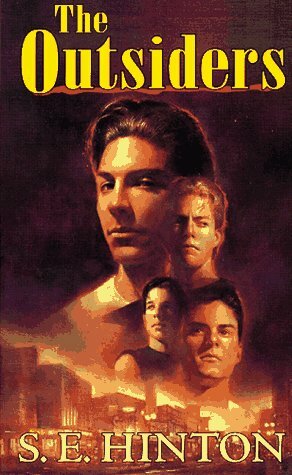 Hinton, The Outsiders. Bookmark the permalink. That’s a good one! I’m definitely in the “Outsiders Bawling Club” as well. My biggest tears were probably shed over The Time Traveler’s Wife. Ugh, so much so that I can’t even risk re-reading it. I haven’t read that yet! Good, I’m assuming? Yes, you must read it! The book is much better than the movie. Another good read is The Post-Birthday World by Lionel Shriver. Such a great book but SO heart-wrenching. Man, I’m suddenly discovering that I need to start reading some happy books… I’m full of nothing but the tear-worthy ones!